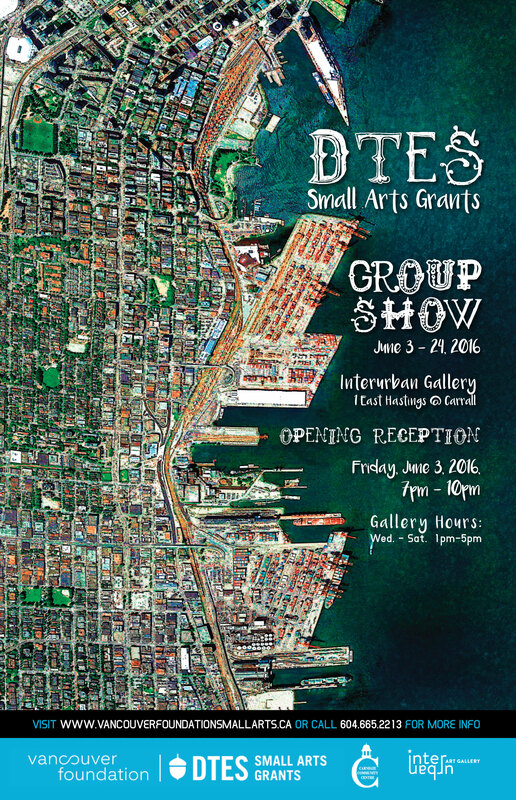 Vancouver Foundation’s Downtown Eastside Small Arts Grants (DTES SAG) presents the 2016 Downtown Eastside Small Arts Grants Group Show, from June 3 to 24 at the Interurban Gallery. Curated by Jen Castro, more than 45 grantees from the 2015-2016 grant year will showcase their grant projects in a wide range of mediums including painting, mixed media, photography, literary arts, textile, video, and more. Many of the displayed items will be for sale and 100% of the sales will go to the artists. Join us to celebrate this year's grant program and our grantees' projects!